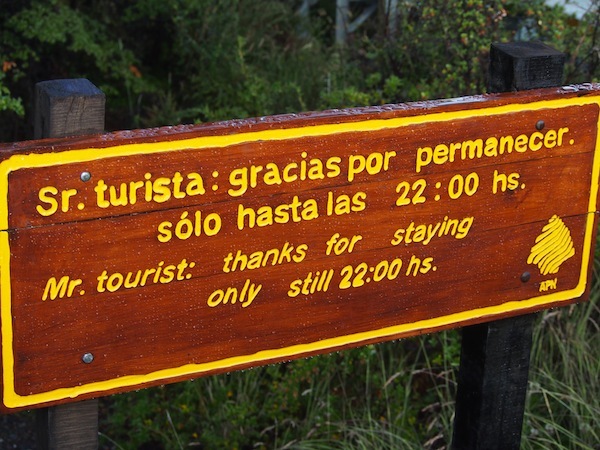 “Eating Calafate berries means you are going to come back.” That’s what Argentinians like to tell me. Well, I hope so! 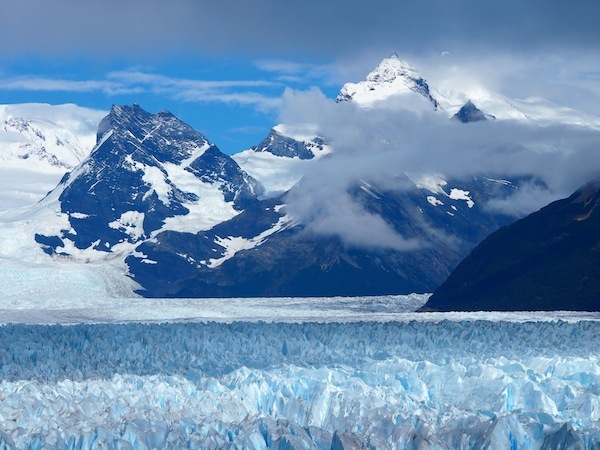 In any case, I have not come to the small town of El Calafate in order to taste its bittersweet origins, but to marvel at one of the most incredible natural monuments of our planet Earth: The Perito Moreno Glacier in the south-east of the enormous “Glacier Park” Parque Nacional Los Glaciares. Its dimensions of more than five kilometres across and up to 70 metres tall make it the largest and most impressive glacier I have ever seen in my whole life: Each year, its millions of tons of ice advance over a metre (that’s a lot 😉 ) only to calve into Lago Argentino as if pulling off a spectacle just for its visitors. WOW! 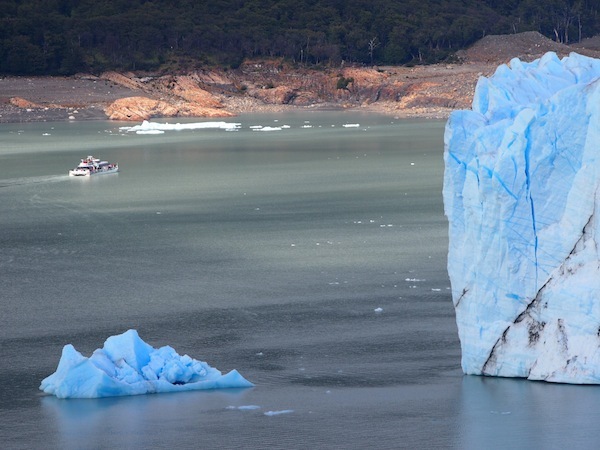 It’s not as peaceful as it looks: All the while, the glacier is “aching”, breaking and calving ice into the surrounding glacier lake of Lago Argentino. 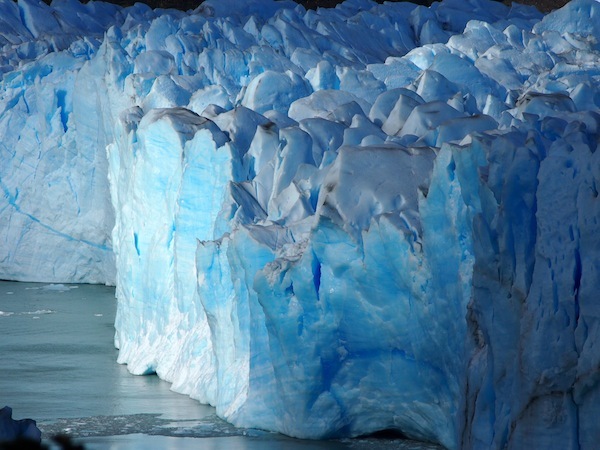 I have never seen such immense towers of ice, nor on such beautiful blue colour display. Don’t you agree? Definitely a must-see for your visit to South America. Funny signs on my way towards the glacier make for a light-hearted start into the day. 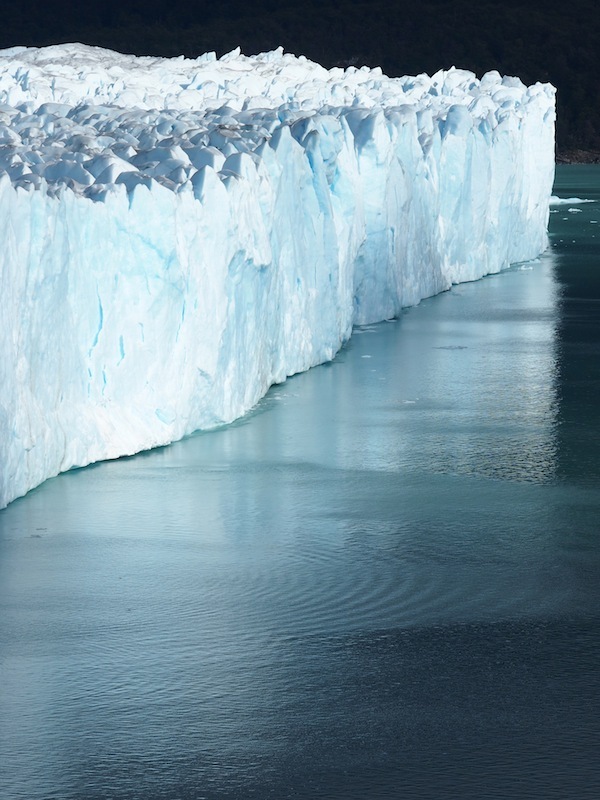 … and well-maintained walkways lead you right on to the tip of the massive glacier. … looking just like this. Can you spot the people in the front? It really is a perfect place for meditation and reflection, as well as for getting a perspective. Wonderful. 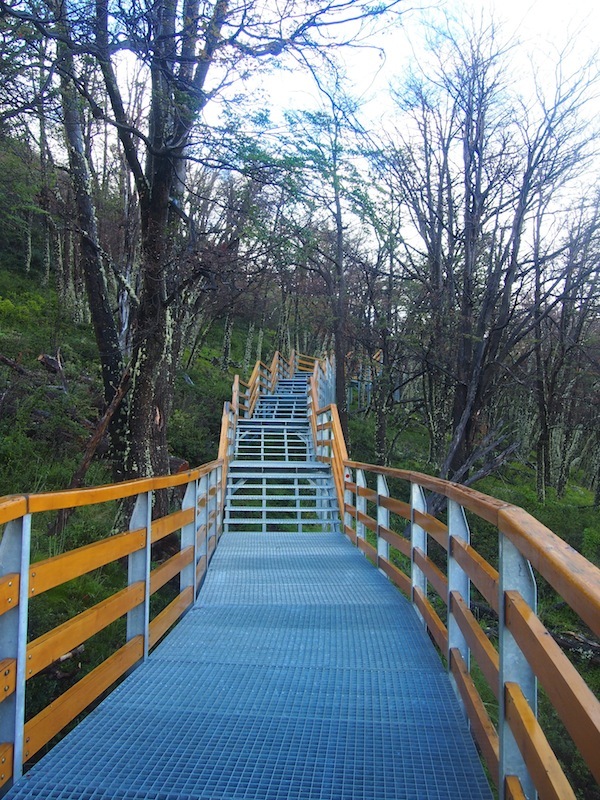 I cannot sleep, I am too excited – despite just having completed a three-day-hike in Torres del Paine. Too much have I been told already about the wonders and mysteries of this glacier who against all odds is said to even grow – as much as its flow of visitors. Since I do not have even 24 hours for a glimpse of the glacier and its town (being invited to travel to Mendoza Wine Festival only four days later – “it’s a hard life” 😀 ), I afford personal taxi driver Carlos who besides driving me to and from the glacier also doubles as my guide for the day. He tells me all I need to know about the area, sharing my philosophy of enjoying “the simple things in life”. 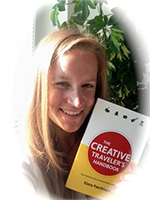 A beautiful travel experience! 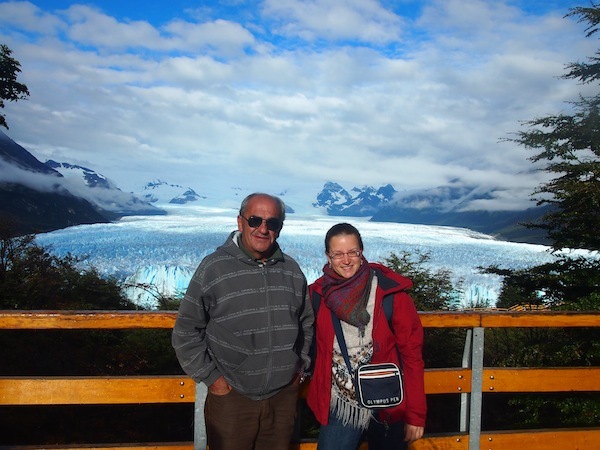 Together with my “taxista” Carlos at the Perito Moreno glacier. 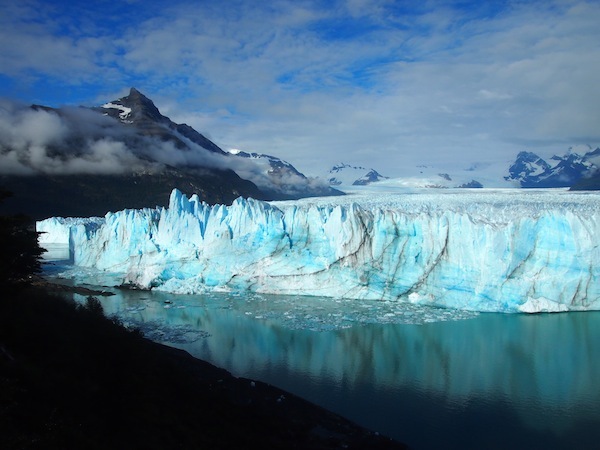 From the visitor centre, it’s a mere 15 minutes walk to reach the tip of the glacier … looking stunning, impressing, like this. 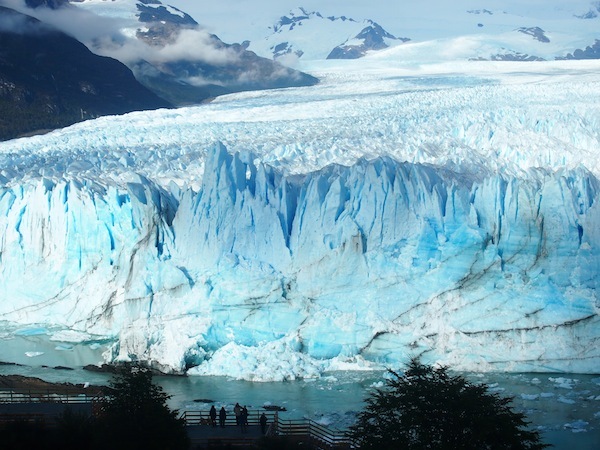 The Perito Moreno glacier is fed by the gigantic ice fields of the Southern Andes mountains. The noise of the calving glacier, often similar to the sound of explosions, comes to peace for one moment in the beauty of this image. I really enjoy visiting this place … Very amazing.